Dealing with indigenous ecotourism as a special type of nature-based tourism, Indigenous Ecotourism examines the key principles of this field through global case studies and analyses the key factors for sustainable development. Drawing on case studies from the Pacific Islands, Africa, Latin America and Southeast Asia, this book examines ecotourism enterprises controlled by indigenous people in tribal reserves or protected areas. It compares indigenous ecotourism in developed and developing countries and covers cultural ecotours, ecolodges and bungalows, hunting and fishing tours, cultural attractions and other nature-based facilities or services. 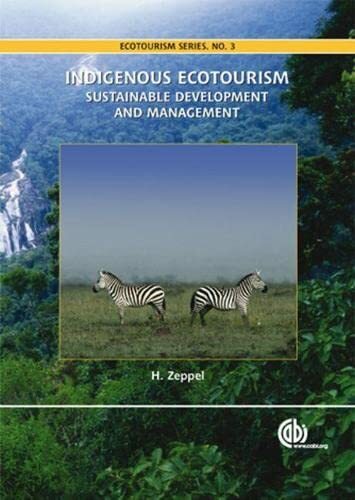 The book reviews indigenous ecotourism as a special type of nature-based tourism and examines the conservation and community benefits of indigenous-owned and operated ecotourism businesses. It concludes by analysing prospects for sustainable development of indigenous ecotourism and the growing links between biodiversity conservation, ecotourism and indigenous rights.